Data Loss – If it is personal, then it would lead to frustration! However, if we lost the financial data that contains the contracts, stock value, etc., then it will have a serious impact on our business in terms of revenue. Do you agree with me? What is the perfect solution for data loss tragedy? You should keep it in mind that the loss of data can happen at any time and through any potential disaster like System crash, Hard Disk failure, Malware attack, Accidental deletion, etc. Therefore, it ‘s nice to have the specialized file recovery software to restore the lost files effectively yet quickly. There are dozens of data restoration applications exists in the market but nothing can beat the professional data revival tool, EaseUs. Yes, it is the most reliable tool to get all types of lost files! I have written several pieces of content about the EaseUs software as it is my preferred application. Now, this excellent data restoration program has introduced its latest version, EaseUs Data Recovery Wizard Free 11.0. Through this post, let’s check how easy to get back the vanished information of any type and what are the fresh features does it have? Whatever may be computing gadget like PC, Laptop, Tablet or any removable device, you can get back the deleted, formatted or lost files with the help of the professional software, Ease Data Recovery Wizard Free 11.0 version. 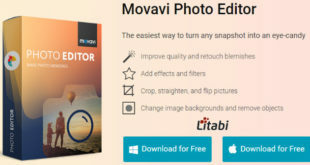 Its PRO version with extra features is also available. What kind of file that you have lost and from where? No problem, anything can be retained with this dynamic tool. Yeah! If you missed your memorable photos, ideal media files, vital emails from your digital cameras, mobile devices, computer or any other storage media like USB drive & Pen drive, then it is more likely to drag them back. Let’s see how EaseUs could do this job in an effective manner! With this Free Data Recovery Software, you just have to follow three steps to haul back the vanished files! 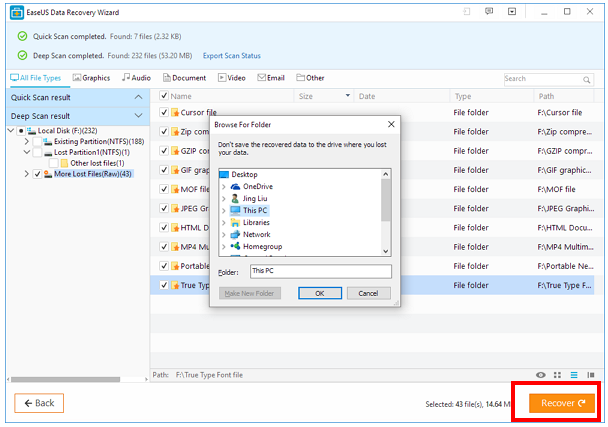 Download the EaseUs data recovery Wizard 11.0 which is available for free. Make sure that you are not installing it on the disk where you have lost the data to avoid the overwritten of files. Now, select the location (such as Desktop, partitions, etc.) to begin capturing the lost data. 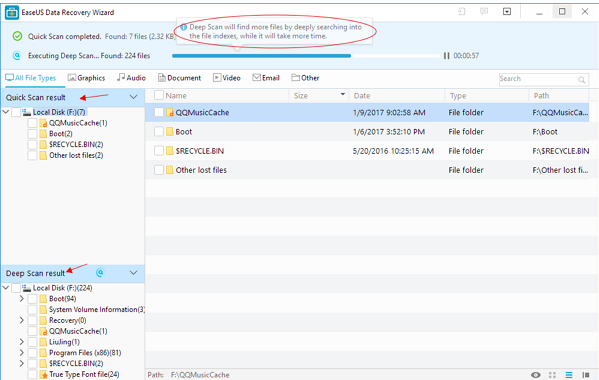 You can scan the deleted and emptied files from the recycle bin. You may begin the scan, and it is recommended not to interrupt the scanning process. As a result of the scanning process, you can see the deleted/lost file details in 3 parts. So, in the preview section, you will be able to see those missed files according to the date, type and size. Once you find the lost file that you want to get back to your computing system, hit “Recover” button and save it to your preferred location. You must know the salient features of the newly launched data recovery version of EaseUs! With the accessibility of “Preview” feature, file reinstating process can be done quickly and that too with excellent output quality. Scan results are importable and exportable. After importing the scanned data, recovering process can proceed without rescanning. Offers “Deep scan” feature to track the missing files comprehensively. Supports User-friendly interface to make the disappeared file bring back process much easier. Possible to search & get back the lost records through its name or extension. Also, several files can be restored at the same time. Like you have installed the Antivirus software in your computing devices, it is indeed important to have a powerful data recovery tool as well. As I mentioned earlier, the potential collapses may happen anytime on the gadgets and storage mediums that we are using. Hence, we should be very attentive in protecting our valuable data and avoid the disappointment. Getting the recent version of EaseUs Data Recovery Wizard would be a better solution to handle the data loss troubles. Thus, I’m recommending this active program to undelete the data that have been gone. I’m sure that it has the ability to do all the essential tasks for you. So, why are you waiting to avail this freebie? Get it now on the devices that you often use and keep your records safely. However, if you want to restore more than 500 MB of your lost files, then you should get its paid version. What do you think about this latest data recovery software of EaseUs? Would you like to get it? Share your valuable views in the comment section.